Soul Mate: Which Soul is for You? As everyone should know by now, I am a HUGE FAN of Soul! The brand has a pretty fun community and the equally amazing carriers make up a decent part of my collection. Soul has been such an important part of my journey that I am a brand ambassador for them! I love that I can loan my carriers out to wearers of all sizes because their carriers are pretty generously sized. Have you wondered which Soul carrier would be a good match for you? Well let’s figure that out! 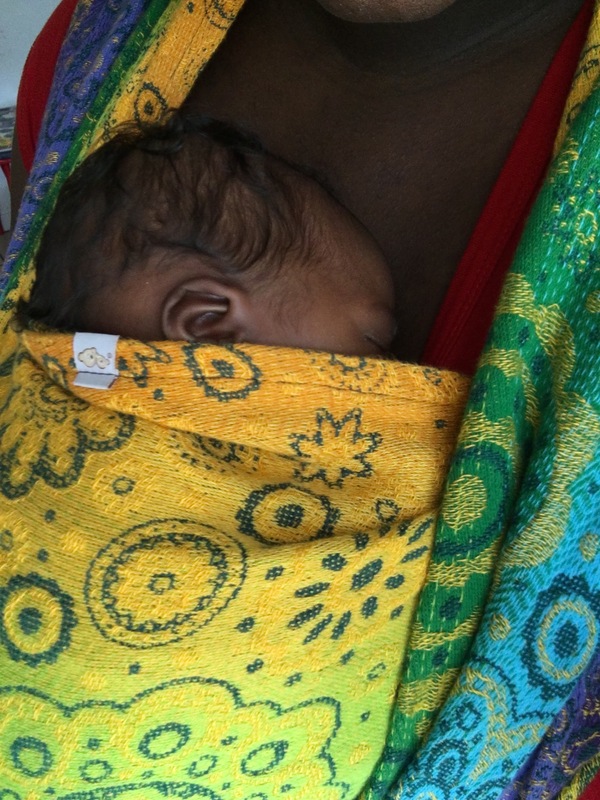 Every once in a while, I review a wrap that I ask to keep a little longer. 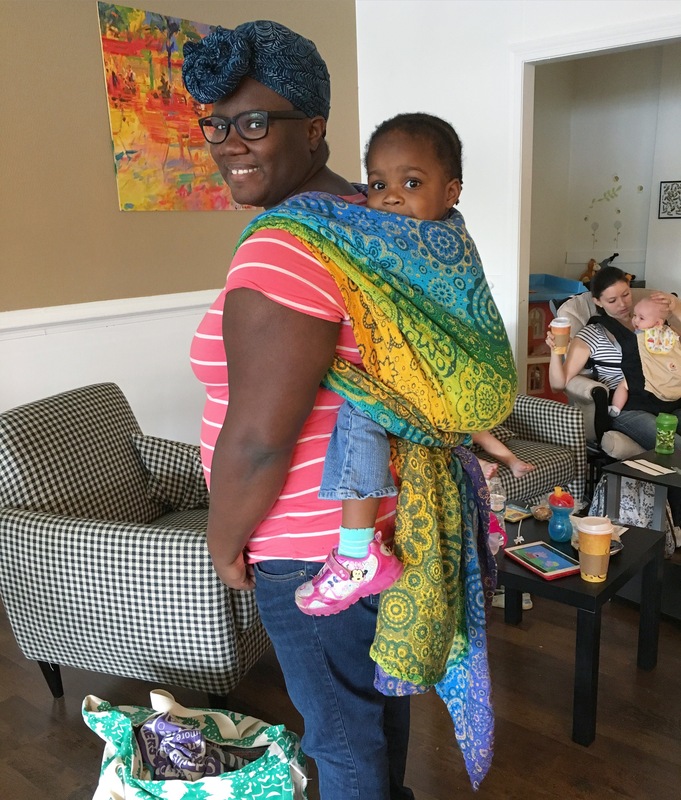 Natibaby Zinnia from Marsupial Mamas was one of those wraps. 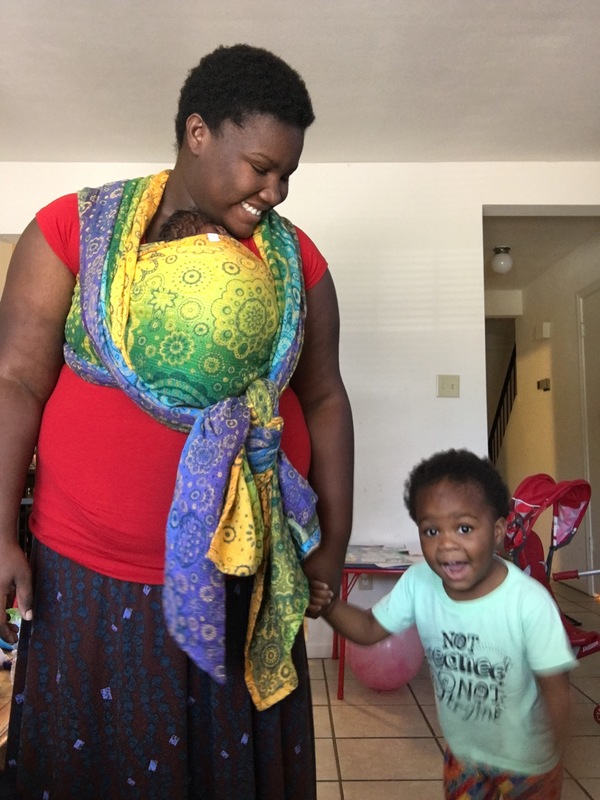 After I spent a few weeks using this wrap with Maxine, I knew that I needed it to stick around until after I had Minerva. This wrap was a base -4 for me which is my favorite shorty size. Zinnia is a 75% cotton 25% hemp wrap. The weave is beautiful, but makes the wrap pretty pull prone. This was the softest Natibaby that I have ever tried. 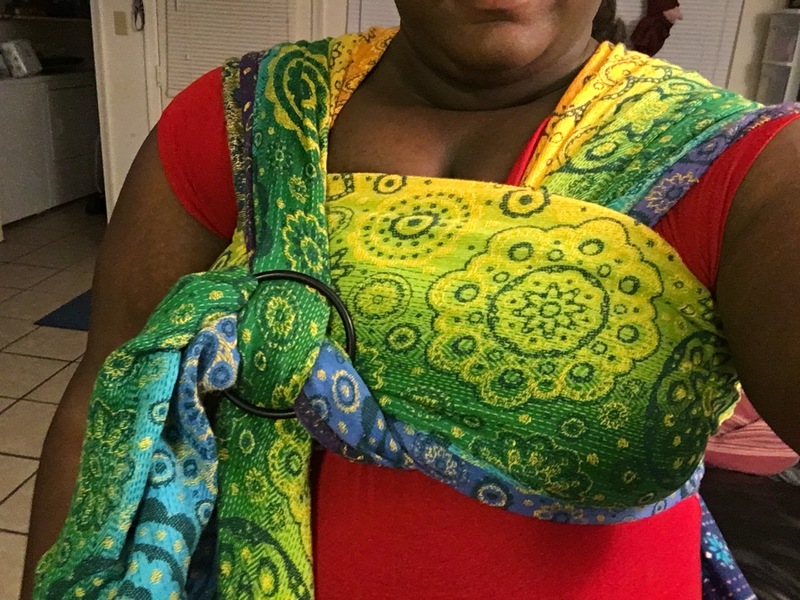 With my 33 lb toddler, this wrap was comfortable. I loved it in my go-to ruck tied under bum. After a little while it sagged some though but that is expected with a wrap with nice stretch and a 33 lb kid. With multilayer carries it was less saggy so for the most part, I stuck to short back cross carry and shepherds carry with Maxine in this. When Minerva arrived, I pretty much wrapped her in Zinnia every single day once we got home. It was newborn perfection. Soft and smooshy while still breathable enough to go on walks outside in a disgustingly hot Virginia July. This was pretty much the softest wrap I’ve ever tried. It reminded me slightly of the softness of tencel, but it was way softer than tencel blends. I think this wrap would be great for all wearers who don’t mind a pull prone weave. 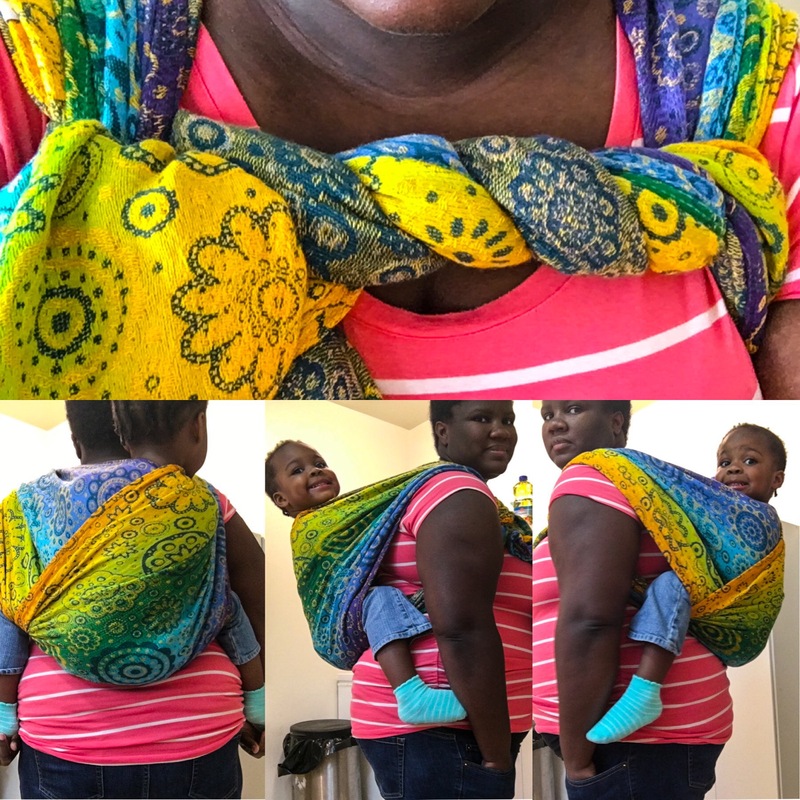 This is excellent with infants and can be comfortably used with toddlers as well especially in a multilayer carry. Follow Marsupial Mamas on Facebook and Instagram, and be sure to join Marsupial Mamas Neighborhood for all kinds of fun and to hear about sales first! Very exciting news for everyone! She is here! Maxine arrived at 37+4 weeks and it was a great surprise for us all! We didn’t expect her to arrive early, but we are incredibly excited that she did! Last week (Tuesday) when I went to the doctor, she told me that I was 3 centimeters dilated and she went ahead and swept my membranes. After the appointment, we went out to eat because I was craving Five Guys SO BAD. Then we went to walk around the mall because walking around helps the baby drop. When we got home, I bounced and rolled on an exercise ball while watching TV with Marvin, then I went to bed. I was feeling more cramps than usual, but it was expected since I had my membranes swept earlier in the day so I didn’t think anything of it. At approximately 4:15 AM, I woke up to what I thought was me peeing on myself. Once I got to the bathroom, I realized that my water had actually broken. I changed my pants and then told Marvin to get up. Of course, he didn’t hear me tell him to get up so I said “Marvin, my water just broke, we need to go to the hospital NOW” and he jumped up out of bed faster than I have ever seen him jump up before. I threw some last minute stuff into my hospital bag (which I had packed since 34 weeks) and headed downstairs. I wasn’t having contractions yet, so I drove us to the hospital since I knew the way and since it was so early because Marv had not had any sleep that night. Well, 13 minutes later, we were at OBICI hospital making our way up to the women’s center. I won’t even say how fast I was driving. When I got there, I said “Okay ladies, it’s for real this time! My water broke!” Then I had my first contraction of the day. I was doubled over in pain! The nurse asked me if I was sure my water broke, so I unwrapped the towel from my waist and she said “Go get a room ready, her water DEFINITELY broke.” They put me in room 319 and I finally got to lay down and watch some TV. The contractions started getting very close together and by 6 AM I was begging for an epidural. More power to you ladies who go through an entire labor without drugs. Marvin kept trying to go to sleep and I would not let him. He told me that I said “You better not even think about going to sleep right now, I haven’t even had my epidural yet and I am HURTING. 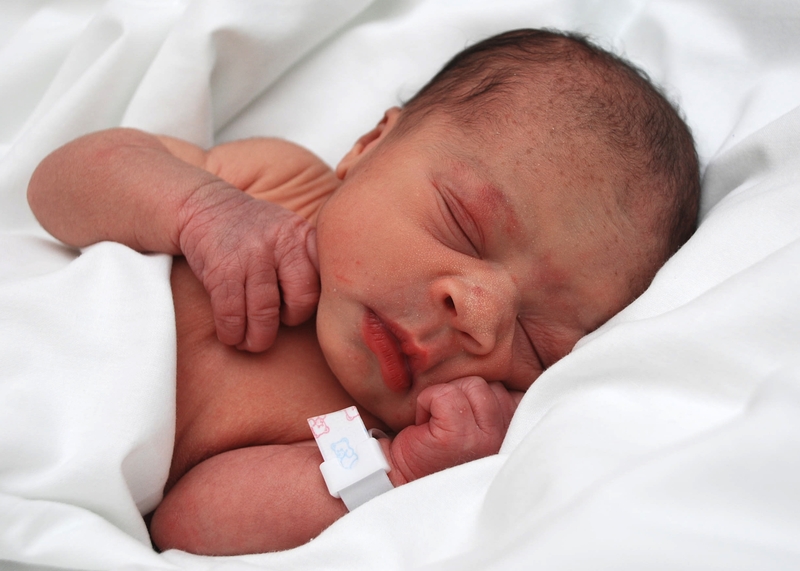 ” Finally, at about 8, the anesthesiologist came in and gave me the epidural and I felt like a brand new person. He also set me up with a fentanyl drip for when the pain got too overwhelming. I felt better immediately. Marvin finally got to take his nap. My mom and dad arrived shortly after my epidural. I was so glad that they were finally there. Then a few hours after that, Marvin’s mom and sister arrived. We all chatted for a while and then I started to feel my contractions again. What I did not know was that my epidural was wearing off. I started to press that button for my fentanyl after almost every contraction. The pain was THAT BAD. The doctor, Tobi, came back in to see if I was dilated enough to start pushing, and I wasn’t. I still had another centimeter to go. At this point I was shaking very badly. I had been shaking all day because my body was in transition, but by 2:30 I was shaking so badly that I was shaking my entire bed. Her student assistant, Laura, came back at 3 to check me again and determined that I was ready and then she went to get Tobi and John, another student that I gave permission to watch my delivery. FINALLY, around 3:15 it was time to push. My epidural had worn off completely and I was in so much pain that I was vomiting between pushes. And yes, there was poop. Tons of poop. Guess I’m a pro at pushing a baby out! After an hour of tears, I finally pushed her out. 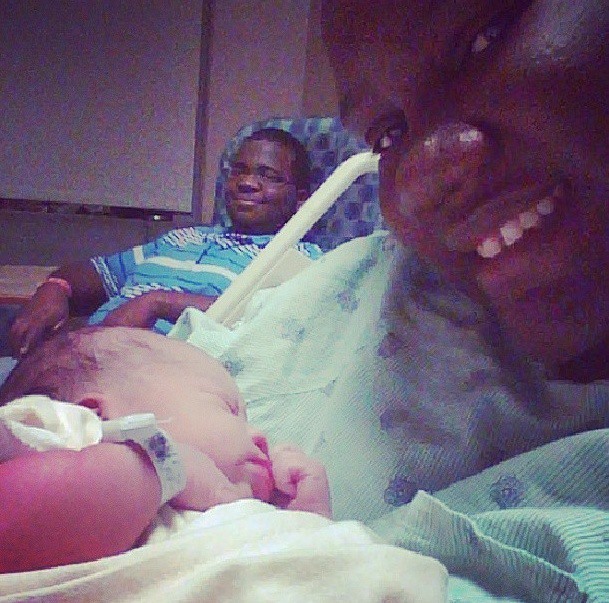 At 4:03 PM on September 25th, I became a mother. Marvin cut the umbilical cord. I am glad that he did.I didn’t tear at all! I was most afraid of that. While they were cleaning the baby off, I delivered the placenta. Marvin got to hold the baby first. Then the baby got passed around. I wanted to have bonding time with just me holding baby and trying to get her to latch but that didnt happen. Next time, it will happen. Next time we will have that chest to chest! When I got to hold her, I didn’t cry, I just stared at her cute little smooshed up fresh baby face. Yep. We had a moment. Eventually, everyone left and Marvin and I got to finally be our little family of three. I can honestly say that this was the most traumatic moment in my life. It was also the most rewarding moment, and I have never been more proud of myself. I know that even though I did not enjoy pregnancy, I will probably do it again in a second. Soon, I will feel normal again. Soon, I will forget the pain and misery. Soon, I will forget how traumatized I was after I gave birth. I love Maxine so much already. I sit and cry because I’m so happy that I finally have everything that I wanted in life. I have my husband, I have my baby, and I have the family that I always wanted.